The Congolese people have recently underwent an important milestone in their history: the first time a peaceful transition of power has occurred in their nations history. This was after a intense election in which the ruling government of Joseph Kabila, the son of a warlord turned President, was dealt a humiliating defeat, with the Kabila-aligned candidate gathering barely 25% of the vote. Both opposition candidates to Kabila, Felix Tshisekedi and Martin Fayulu, garnered well over 30% of the vote, and at first glance the results seem to point to a total repudiation of Kabila and his undemocratic regime. Here was the democratic end of an authoritarian strongman who ruled the country for over 18 years, a firm strike against Kabila’s pro-market and pro-corporate policies which have allowed the Democratic Republic of the Congo to make billions for foreign businesses while millions in the country remain poor and illiterate. However, what should have been a triumph turned into an affront to democracy. Martim Fayulu, a formerly unknown figure from the opposition, stormed the field and appeared to utterly dominate the election with his calls for the destruction of Kabila’s legacy and helping the average Congolese. He was the clear frontrunner during the election, and pre-election polls, sparse and limited as they were, showed him far and away the favorite. But as the election came to an end, a shock resonated across the nation; Fayulu had been defeated by Felix Tshisekedi, the son of famous opposition figure Etienne Tshisekedi, He was anti-Kabila, but appeared much more moderate and had expressed much less radical opposition to Kabila’s legacy than Fayulu, who seemed to want to expunge Kabila from every facet of Congolese life. Tshisekedi also had very little experience in government, and only appeared on the scene after his father had died. The surprise victory of Tshisekedi was marked by days of confusion in which the electoral commission of the Congo “counted and collected” the votes. It grew so marked and confused that foreign observers to the Congolese election, including the Catholic Church, declared their counts to be in direct opposition to the official government tallies. Fayulu has stated that the election was stolen from him and that he is the true President of the Congo, as foreign observers have said their counts point to him winning the election. So why did Tshisekedi win while Fayulu, the firebrand of anti-Kabila politics, lost? The answer many Congolese and foreign observers have reached is that Kabila attempted one more undemocratic act before he left office. It is thought that Kabila and his allies realized that their candidate, an almost unknown government official and cousin of Kabila, Emmanuel Ramazani Shadary, was going to get utterly trounced in the election. Knowing this, they saw that they could either allow Fayulu to come to power and destroy them, or tip the scales against him and help out his erstwhile opponent, Tshisekedi. They realized that tipping the scale toward their candidate would be so utterly and transparently undemocratic that the country could descend into conflagration, so they chose the more palatable opposition candidate to win the election, manipulating the results enough to give Tshisekedi a much more likely, though narrow, victory over Fayulu. 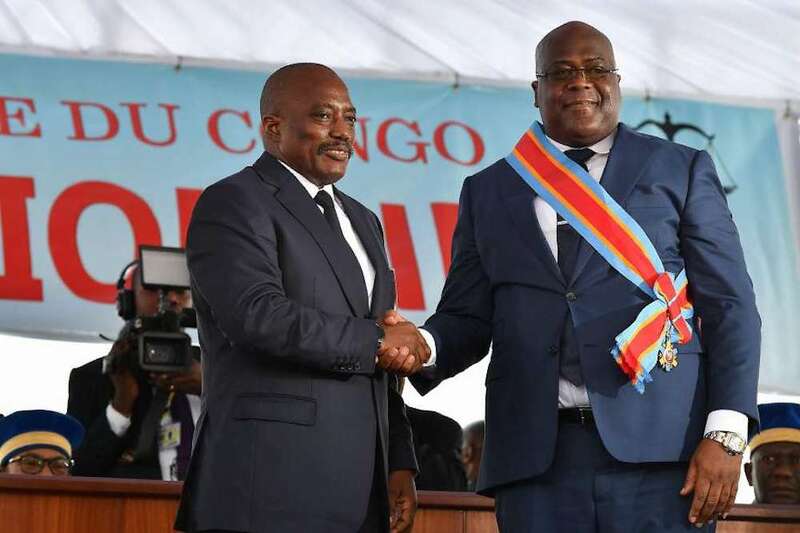 Combine this with Kabila’s legislative coalition remaining in the majority in Parliament, Tshisekedi would have to choose a Kabila-aligned figure to be his Prime Minister, a position which has quite a deal of power to check the President. This theory is reinforced by Tshisekedi giving an extremely conciliatory speech when he assumed the Presidency, in stark contrast to even the moderate anti-Kabila position he took during the election. And do not think that Kabila is retiring and going to become just a private citizen – he has been given a vague position in his political party, which means it is infinitely likely that he will continue to exert immense influence in the government of Congo through a duly selected Kabilist Prime Minister. Thus what was supposed to be an election in which Kabila and all his vestiges were thrown out has resulted in the election of Tshisekedi as a Kabilist puppet. The opposition has remained silent the past few days, even as Tshisekedi was sworn in as President. This is primarily because in a country like the Congo, which not only suffered under the dictatorial thumb the horrifically incompetent and corrupt Mobutu Sese Seko but endured two horribly destructive civil wars in the heart of the country, only to be replaced by the unpopular rule of Kabila, anything is better than the breakout of more war, conflict, and upheaval. So the question is then begged, what is next for the Congo? Fayulu has continued to denounce the election as fraudulent and calls for mass protests, but it seems the current atmosphere of the Congo is one of hopeful caution. After 18 years of Kabila, it’s at least heartening to know that he finally agreed to step down and allow a successor to replace him, however compromised the electoral system is in his favor. Hopefully Tshisekedi can improve the lives of the citizens of the Democratic Republic of the Congo, but it is likely he will always be tarnished with being put into power due to the most corrupt of bargains.